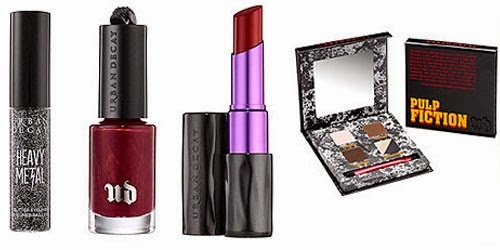 Hey beauty junkies, are you ready for fall yet? 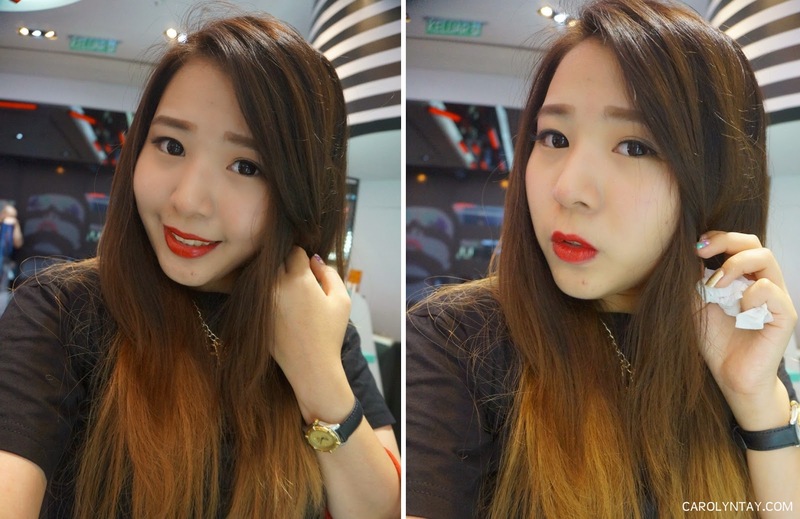 I'm bringing you a sneak peek on some new Urban Decay products from their Fall 2014 Collection that will be launching mid-September in Malaysia. Urban Decay's fall collection in honor of Pulp Fiction's 20th anniversary — pays tribute to the iconic film by creating a whole set of the products inspired by the movie! The Urban Decay Fall 2014 collection includes: the limited edition Pulp Fiction collection and the Perversion mascara, along with cult favourite 24/7 Glide-On Liners and a multi-purpose brush. This entire collection was inspired by Mrs Mia Wallace from the movie Pulp Fiction, it's dark and bold! The Palette holds 5 shades (3 which are brand new!) and a double-ended brush for blending (RM119). Mrs. Mia Wallace Nail Color - deep red with slight shimmer and chip free! Subversion Lash Primer (RM69) - A creamy, lash primer that conditions and preps lashes before applying mascara. It coats lashes with protective panthenol and conditioning vitamin E, prepping them for high-volume mascara application. This lash primer is Paraben Free! Perversion Mascara (RM85) - A ultrablack mascara that lengthens and volumizes your lashes! It provides creamy, full-bodied texture that’s not too dry and not too wet, allowing for just the right amount of pull as it glides through each lash, achieving clump-free application. It is formulated with a nourishing blend that stimulates lash growth, and the triple-black pigments leave lashes looking ultrablack. A must for smoky-eye fanatics: an ultra-velvety, plush version of a creamy & waterproof 24/7 formula. 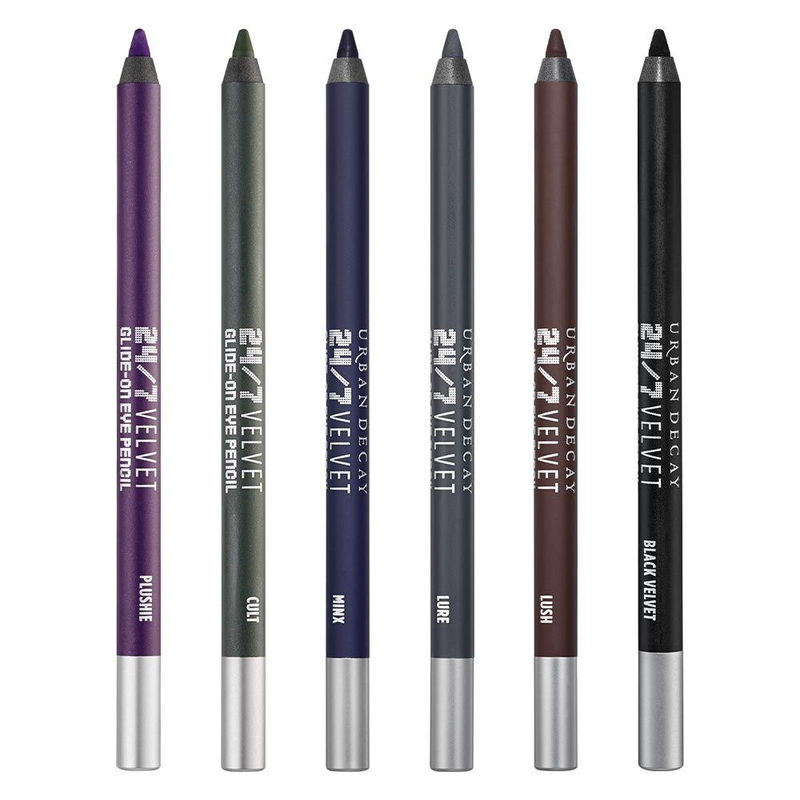 24/7 Velvet Glide-On Eye Pencil is the definitely the ultimate tool for smudging and it has the same long-lasting benefits as the 24/7 Eye Pencils but they are more powdery than the original ones. This brush is a multi-purpose face brush that can be used for blush and bronzer. The fluffy angled side can be used for both blush and bronzer, and the flat side can be used for both powders and cream products. With the talented Mr Steve Kassajikian who is the US Brand Ambassador. This new Urban Decay Fall Collection will be available in mid-September and can be found at all Sephora outlets nationwide. 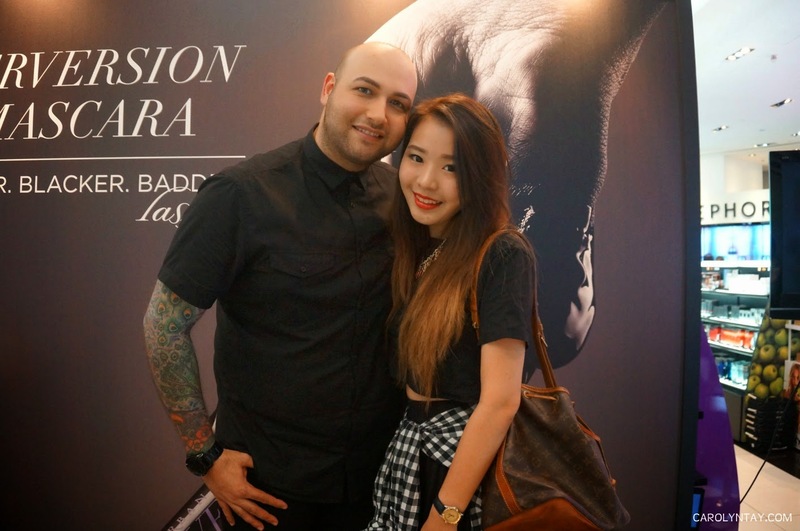 Are you excited for Urban Decay's Fall 2014 Collection?